Please email mfquigley at yahoo dot com if you are planning on attending. I will need the following; Name, Email, Phone Number, Do you have a boat (Y/N)?, If so, how many open spaces do you have? We need people with boats to sign up to give rides to those without. Hey folks! It’s time to get signed up. The Redfish Rodeo is only a month away! Hey y’all, I just received an awesome grand prize for the Redfish Rodeo, compliments of Fishing Tackle Unlimited and Marcos Enriquez, a 9′ 8 wt Sage Salt fly rod! That’s about an $800-$850 retail rod and one helluva stick. I ought to know. I have one. 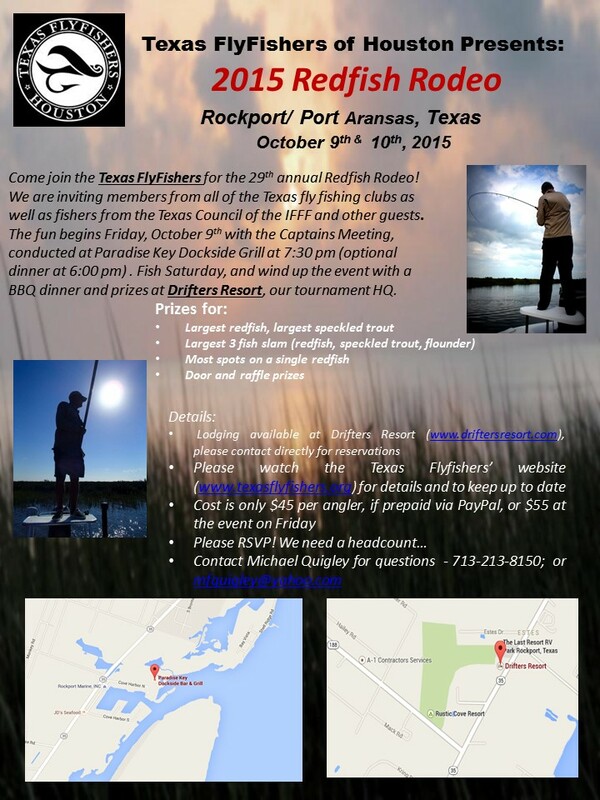 You can’t win it if you don’t sign up and fish!! Got a couple more signed up. Keep it coming! Let’s make this a decent tournament!